Technical system data is the basis for most ALM processes. Now it’s import that the required data are delivered by several data suppliers, addressing the System Landscape Directory (SLD) and the SAP Solution Manager Landscape Management Database (LMDB). 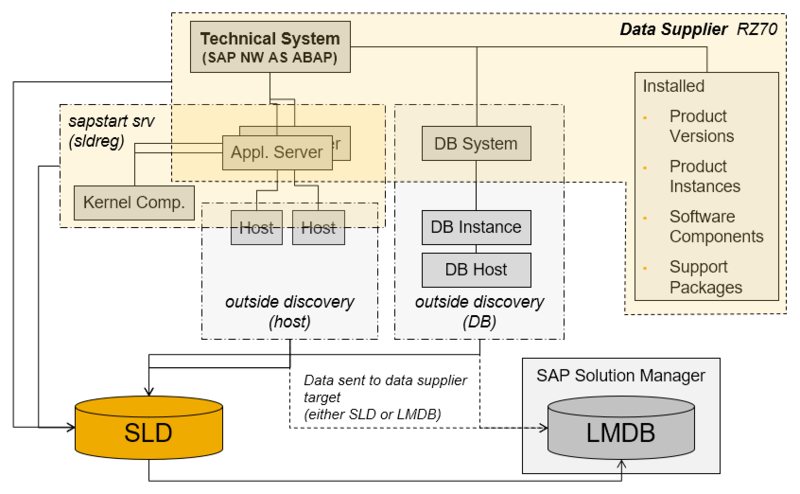 Figure 1: Data suppliers from the technical system to SLD and LMDB – example RZ70 of AS ABAP addressing the SLD and outside discovery sending data to the LMDB directly. Note that the SLD Data Suppliers do not fully cover Host and DB System – detailed info is delivered by outside discovery. OS and DB version information you’ll get (only) by outside discovery sending the information to the LMDB directly.